Green Day (formed 1987) Green Day is an American punk rock band that has had huge global success since it's debut major label release, Dookie in 1994. Formation: As teenagers, Billie Joe Armstrong and Mike Dirnt started up a band named Sweet Children. The band's first show was in October 1987 in Vallejo, California, at Rod's Hickory Pit, where Mike's mother worked at the time. The next year, the band began working with John Kiffmeyer who played drums but also booked shows for the band. In 1989, the band changed their name to Green Day and released their debut EP '1,000 Hours' on Lookout! Records. In 1990, Lookout! 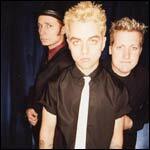 Records also released Green Day's debut album, 39/Smooth, as well as two more EPs, 'Slappy' and 'Sweet Children'. The next year, they released 1,039/Smoothed Out Slappy Hours, which was a combination of the debut EP and the debut LP. 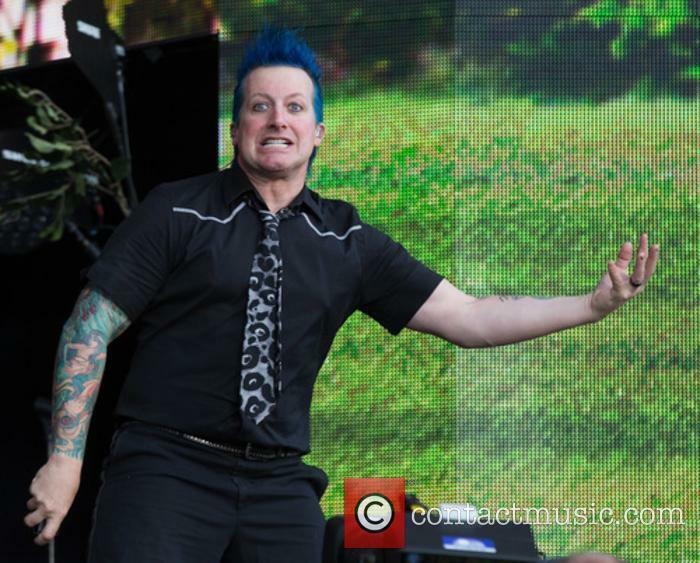 The drummer at the time, Sobrante, left to attend college and was replaced by Tré Cool. 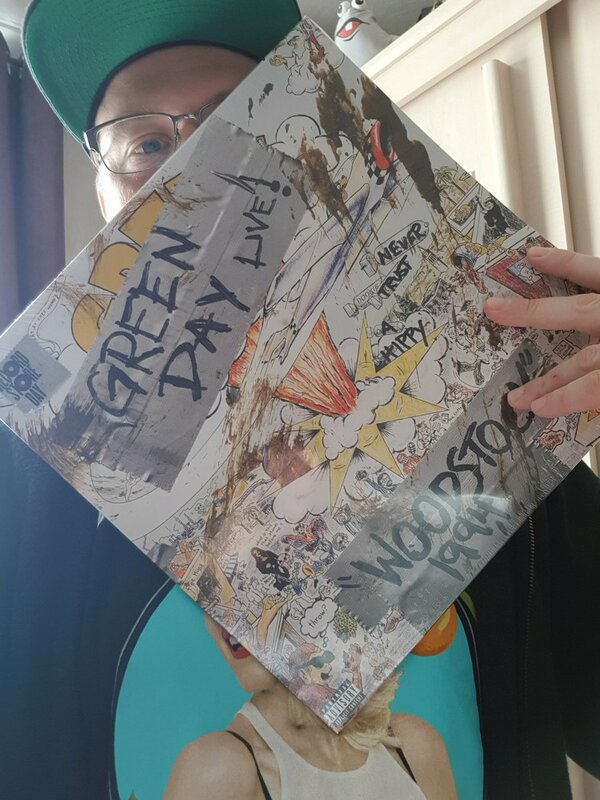 Green day's second album, Kerplunk sold over 50,000 copies in the USA, which was an impressive amount for an underground punk band at the time. 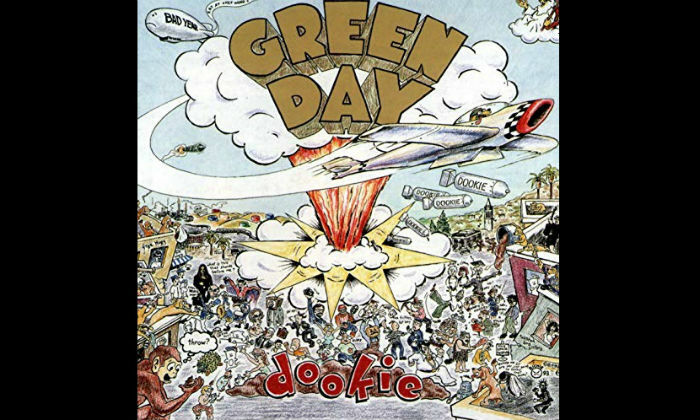 Hitting The Mainstream: Green day signed to Reprise Records and recorded their major label debut, Dookie, which was released in 1994. The singles, 'Basket Case', 'Longview' and 'When I Come Around' all received heavy MTV airplay and the band was added to the Lollapalooza and Woodstock bills. Dookie won the Grammy Award for Best Alternative Album in 1995. Insomniac was released in 1995 and spawned the singles 'Geek Stink Breath', 'Brain Stew/Jaded', 'Walking Contradiction' and 'Stuck With Me'. The video for 'Walking Contradiction' won the 'Best Video, Short Form' Grammy Award in 1996. The band cancelled a European tour in 1996, due to exhaustion. Released in 1997, Nimrod provided more of a diversion from the band's standard punk-pop fare. The album entered the US charts at number 10 and the single 'Good Riddance (Time of Your Life)' earned the band an MTV Award for Best Alternative Video. The song was twice featured in separate episodes of E.R.. Warning was released in 2000. The single 'Minority' was a hit for the band and so, to a lesser degree, was the title track. Warning earned a gold certification, though all of the band's previous albums had achieved at least a double platinum status at this point in their career. Green Day then released a greatest hits compilation entitled International Superhits! In addition to this, they released a compilation of B-sides entitled Shenanigans and a collection of videos, International Supervideos! From Shenanigans, 'Espionage' was featured on the soundtrack to Austin Powers: The Spy Who Shagged Me and was nominated for a 'Best Rock Instrumental Performance' Grammy Award. In 2003, Green Day collaborated with Iggy Pop on his album Skull Ring. 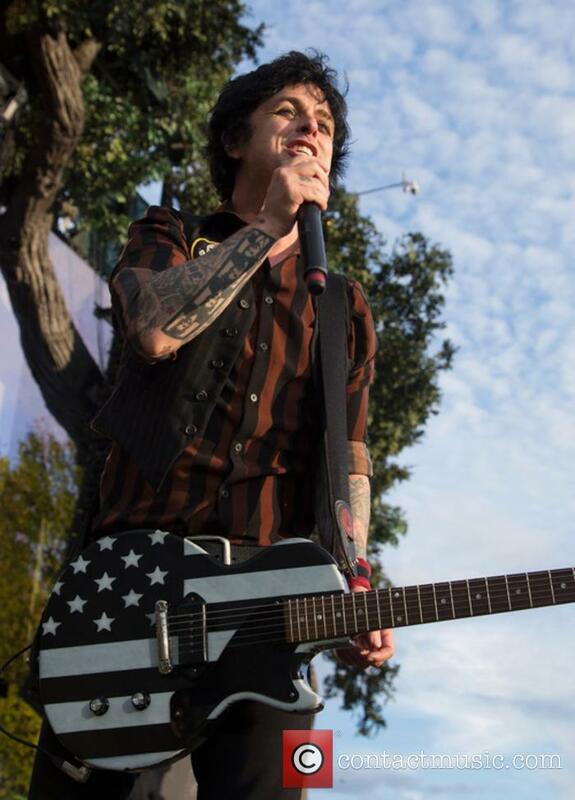 The next year, their American Idiot album debuted at number one in the US album charts. American Idiot won the 2005 Grammy Award for 'Best Rock Album'. Recordings from the supporting tour were released as Bullet in a Bible. In 2006, 'Boulevard of Broken Dreams' was named 'Record of the Year' at the Grammy Awards. THE NETWORK (it has been reported that all three members of the band are in this band, under assumed names). FOXBORO HOT TUBS (all three members of Green Day are in this band and played on its debut album Stop, Drop and Roll). In 2006, Green Day collaborated with U2 and Rick Rubin to record a cover of The Skids' 'The Saints Are Coming', to raise money for the victims of Hurricane Katrina. Green day's version of The Simpsons' theme tune was released as a single in July 2004. Dookie was released on this day in 1994. 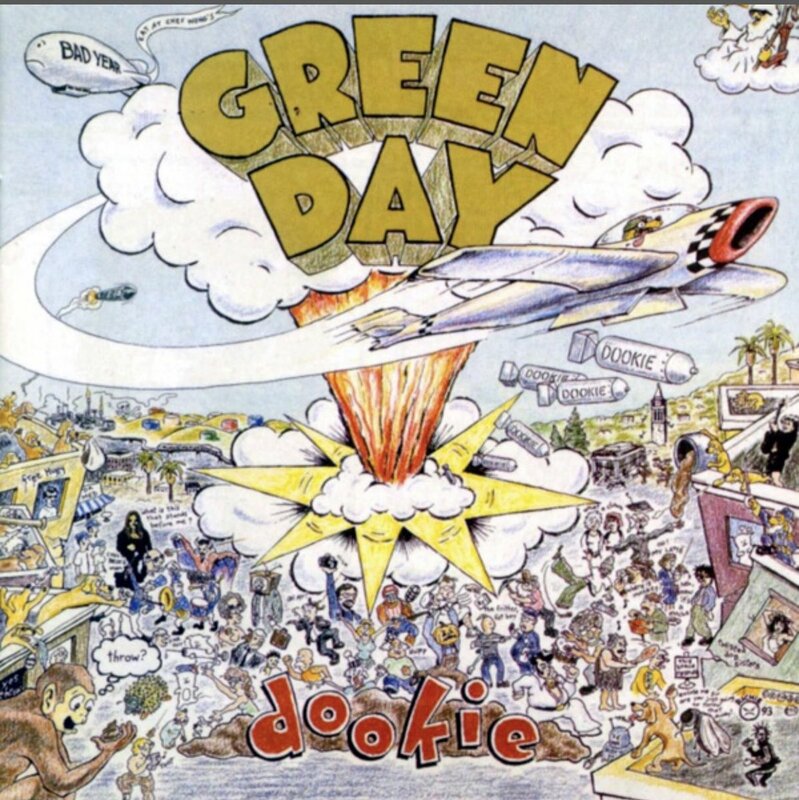 Today (February 1st) marks the 25th anniversary of the release of Green Day's third album and major label debut Dookie. The legendary Diamond-certified release was the band's first ever record on Reprise Records; a label which has seen them through the rest of their career. Ten years before American Idiot was born, there was Dookie. It was the landmark album of Green Day's career and the one that propelled punk rock to mainstream popularity. It reached number 2 in the US charts, has sold more than 20 million copies worldwide and ended up winning the Grammy Award for Best Alternative Music Album. We love these funny, intense and unique pop videos. These days it's difficult to get away with a music video that's all singing, all dancing with wind machines. 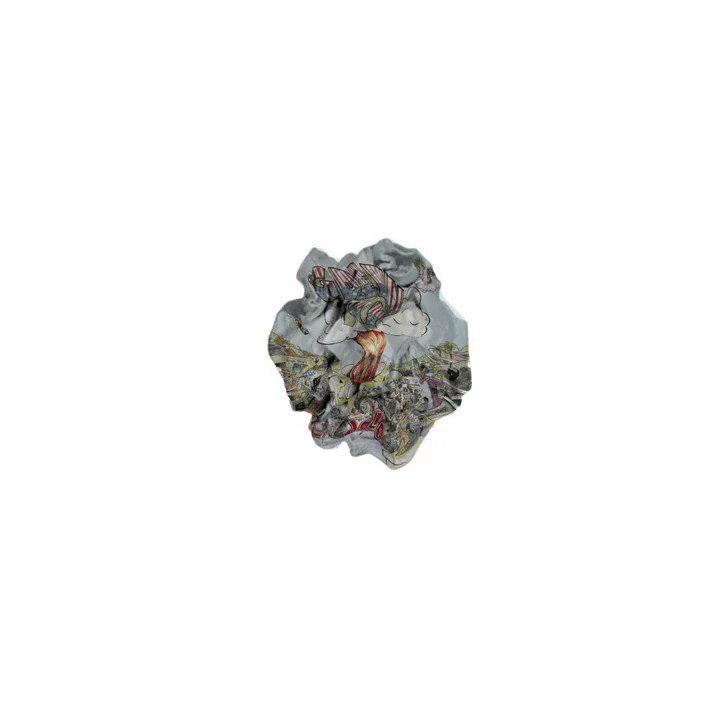 It's becoming more and more popular to go for a more conceptual piece; like a mini cinematic montage to rival Hollywood. Indeed, these artists have all done something a little bit different with their musical outputs. 1. Taylor Swift - Look What You Made Me Do: The snakes, the bath of diamonds, the zombie Taylor... We just couldn't get enough of this video this summer. It's definitely the best music video she's ever done and shows a different side to her that we've never seen before that's sly, self-depricating and pretty damn badass. The band were branded as callous for continuing their set, but they didn't even know anything had happened. 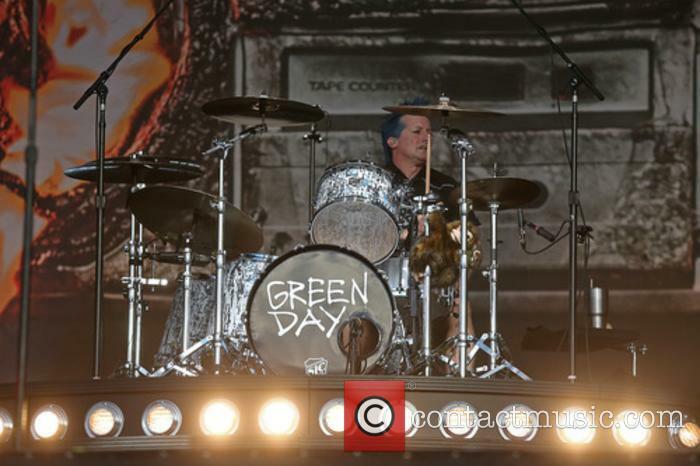 Music shows are supposed to be spectacular and memorable events, and for Green Day's audience at Mad Cool Festival in Spain this weekend it was certainly a night they will never forget. The concert was a disaster from the start when witnesses saw an acrobat performer tragically fall to his death. 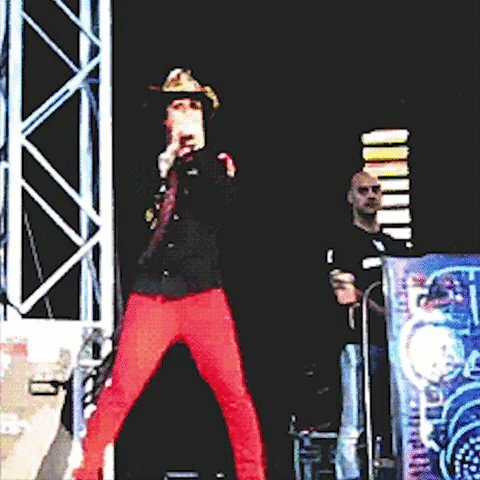 Green Day were headlining the event in Madrid on Saturday night (July 8th 2017) in front of 35,000 people when an acrobatic artist - who has now been identified as 42-year-old Pedro Aunion Monroy - dropped at least 100 feet to the ground only minutes before the band were due to go on stage, dying almost instantly from his injuries. 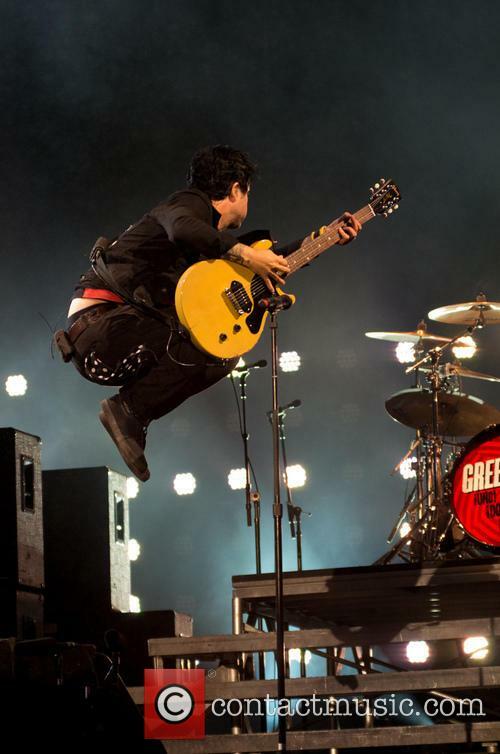 Green Day need little to no introduction, but just in case, here's a quick recap. Being arguably the most key band to pop-punk with their 90's records 'Dookie', 'Insomniac' and 'Nimrod' they became instant legends and one of the biggest bands on the planet. 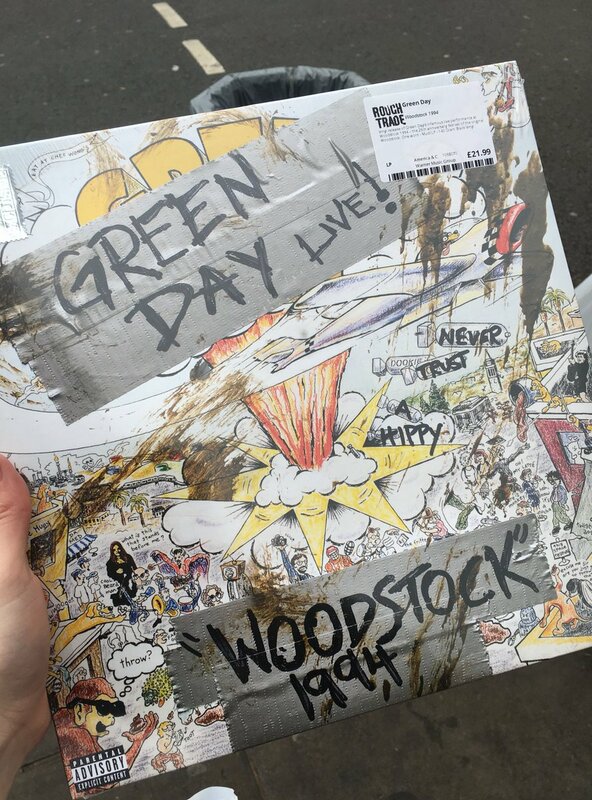 These records were defined by spunky scrappiness in Tre Cool (drums) and Mike Drint's (bass) rhythms, in frontman Billie Joe Armstrong's riffs, being married with the strongest knack for melody and catchiness as well as silly lyrics about getting wasted and other youthful activity. There's also always being an outsider spirit to Green Day which continued into their reinvention with their bold 'American Idiot' concept album in 2004, which saw the band mature with style, having more of a political consciousness and reshoot them to the top. 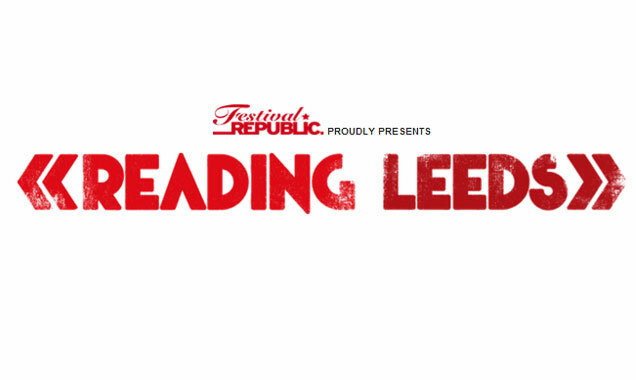 They visit Sheffield tonight and deliver a show which matches their legacy. Firstly, tonight though, we have Rancid who are a classic band in their own right. Like tonight's headliners Rancid have many a punk anthem under their belts with gritty spirit and instant danceability that get a good chunk of this huge crowd going early on. The band themselves rev-it-up with frontman Tim Armstrong often galloping around the stage as well as ending their set in the crowd and you can feel Matt Freeman's insane bass skills from a distance with rapid, animated fretwork. 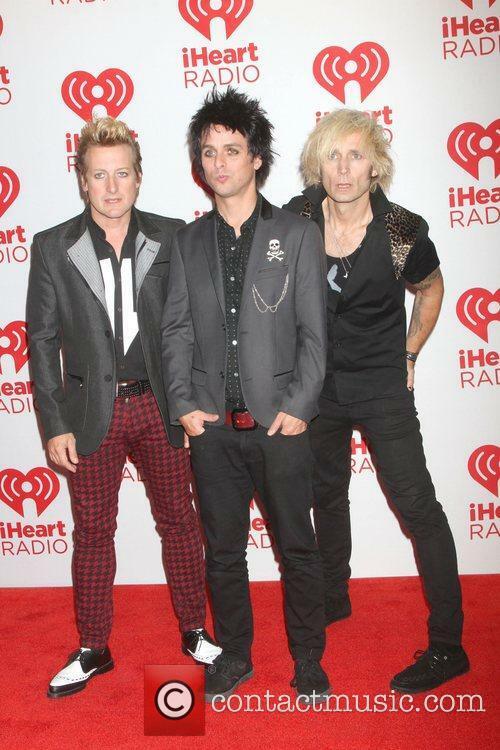 Green Day have no problem following legends as they themselves are. From start to finish this is just a delight. 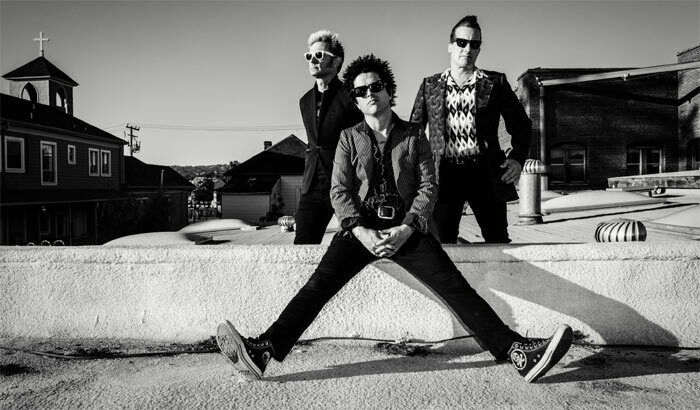 This band have so many iconic tracks in their arsenal, that much of the 13,000 people will be singing along to every word across the two-and-a-half-hours Green Day play tonight. Whether it be the politically charged 'Holiday' or the ska-punk masterclass 'King For A Day', what most Green Day songs have in common is hooks that stick in your head like gum and a lot of heart to connect with. The band were inducted in their first year of eligibility. This year's inductees into the Rock'n'Roll Hall of Fame, Joan Jett and Ringo Starr, definitely fall within the "about time" category. And they aren't the only ones. The 2015 inductees also include the cool kids of rock, Green Day. 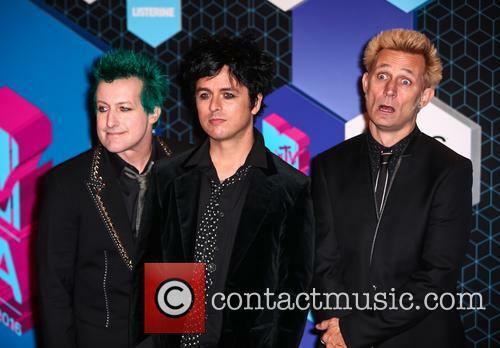 Green Day were a bit overwhelmed on the night of their induction. The Bay area trio also played a pretty intense show on the night of their induction, reminding everyone why they were the band to take punk rock to the masses back in the 1990s. From the opening power chords of American Idiot, Billie Joe Armstrong, Mike Dirnt and Tre Cool had the crowud at Cleveland's Public Hall up on their feet and dancing along to the tune of 90s nostalgia. Billie Joe Armstrong's 'These Paper Bullets!' is heading to New York and will be staged by the Atlantic Theatre Company in November. 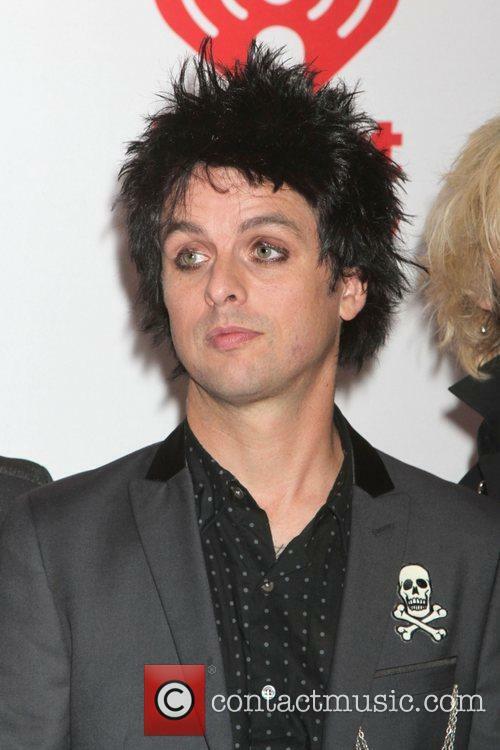 Billie Joe Armstrong's latest musical is set to appear off Broadway. 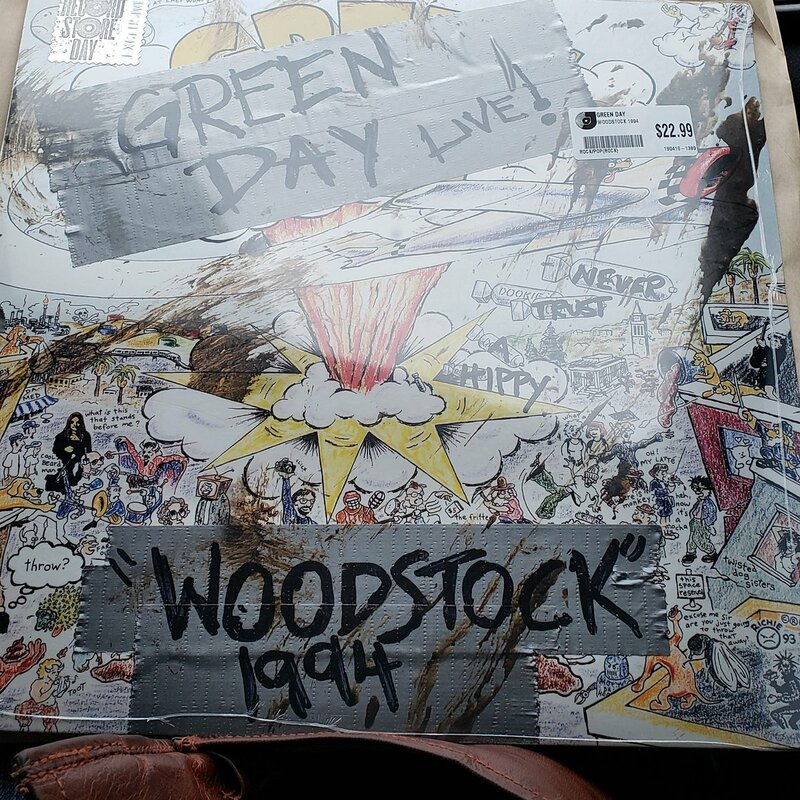 The 43-year-old Green Day frontman penned These Paper Bullets! last year and it debuted at the Yale Repertory Theatre. These Paper Bullets! will be on at the off-Broadway Atlantic Theatre in November, coinciding with the theatre company's 30th anniversary. 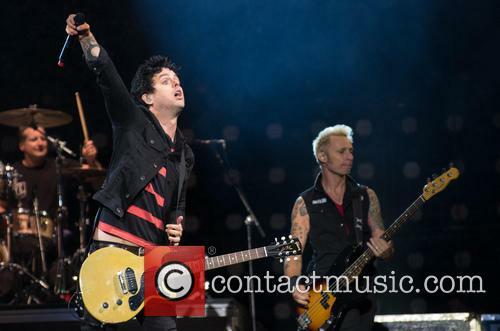 Billie Joe Armstrong's musical is heading to New York and will be produced by an off-Broadway theatre company. 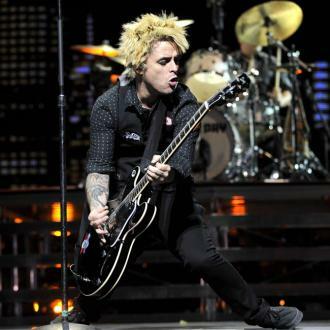 Read More: Green Day One Of Six Artists To Be Inducted Into Rock And Roll Hall Of Fame. The punk veterans join Bill Withers, Joan Jett and the late Lou Reed in the pantheon of musical greats. Esteemed musical institution the Rock and Roll Hall of Fame has announced its class of 2015. The six musical acts to be inducted are: Green Day; Bill Withers; Joan Jett & The Blackhearts; Stevie Ray Vaughan and Double Trouble; Lou Reed; and the Paul Butterfield Blues Band. Former Beatle Ringo Starr will be honoured during the ceremony with an award for musical excellence, and ‘50s R&B quintet The “5” Royales will also be recognised for their influence on early pop music. The 41-year-old musician's type of cancer was fortunately caught early, so doctors are hoping "he should make a full and speedy recovery." 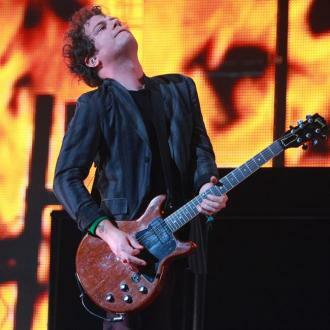 The longtime touring guitarist from punk rock band Green Day, Jason White, has been diagnosed with tonsil cancer, so the group have therefore asked their fans to send him some "positive healing vibes." White's illness was announced via a Facebook message posted on Friday (Dec 5th), which read, "We have some news to report regarding our brother Jason White, and wanted you to hear it from us before word spread."